We come to you! Specialist in Diagnostics and Mobile Auto electrical repair and services 24 hours 7 days Auckland wide! Auckland Mobile Mechanics are experienced Mobile Auto Electrical Repairers Auckland wide and diagnosing vehicle auto electrical faults. We come to you Auckland wide 24 hours 7 Days to your location. We also perform car diagnostics, car repairs and car services to help you get back on the road! We service and repair European and Japanese car Makes and models with Specialists for diagnostics and repairs. 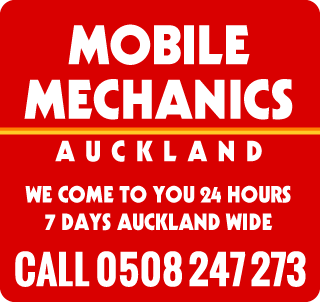 When it comes to Diagnostics and Auto electrical repair Auckland Mobile Mechanics have the skills and experience. We are able to diagnose starting problems, dash warning light and intermittent auto electrical concerns for example engine warning lights that come on. We also diagnose and repair battery lights and ABS lights and more major car problems. If you have it, we can help. Our mobile auto electrician can also check your engine management system using our latest technology Scan Tool for fast and easy repairs. We also diagnose repair componentry can be checked such as: Crank Angle Sensor, Cam Angle Sensor, Throttle Body Sensor, Air Flow Meter, Oxygen Sensor Ignition Module, coil packs ECU, BCM Module, Air Temperature Sensor, and we also replace Coolant Temperature Sensors the fuel injector. Contact us today for all diagnostic and Auto electrical repair Auckland wide. Also contact us for any problems you may have with your engine management system at a time and place you choose. For Emergency Breakdown services and Roadside assistance you can call us on 0508247273 or book a mechanic online today.